What can we do for your business? We can create a new website or upgrade an existing website. We work with our clients to create websites utilizing the latest software and technology to create websites that are properly developed and are appealing to visitors. 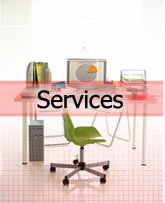 We custom design all of our websites to fit our client's specific needs, and we offer packages to fit every budget. Not all web designers are the same, if you want your website done right the first time, we have the skills and experience to make your Internet strategy a successful one. From registering your domain name to maintaining your website, we take care of it all so you can concentrate on more important things, like your customers.